Figure 4. Li-Cor photometer. 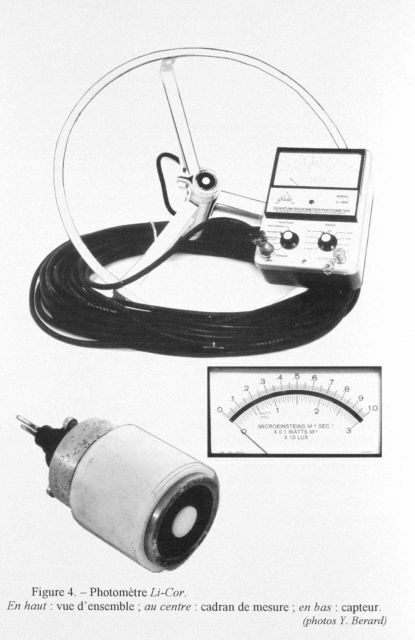 This photometer was investigated by Dr. Jean Brouardel in 1974 in a quest for instruments of greater precision. He investigated several including a Li-Cor quantum/radiometer/photometer developed by industry especially for measuring light in water or in air in relation to photosynthesis. Construction date and details of study conditions are unknown.